I’ve been counting the months until summer. In my small little town it seems as though winter lasts from October through April with one month of spring and one month of fall. Then June through August we have a glorious summer. I love summer for so many different reasons. The first is the weather. I love the sunshine, not having to wear socks, and pulling on a dress every morning. The second reason is I don’t have to work for 9 fabulous weeks in the summer! The last reason is the food. I enjoy all of the fresh fruits and vegetables, the delicious and easy meals on the grill, and company coming over for picnics and BBQ’s. Summertime is definitely my happy time. 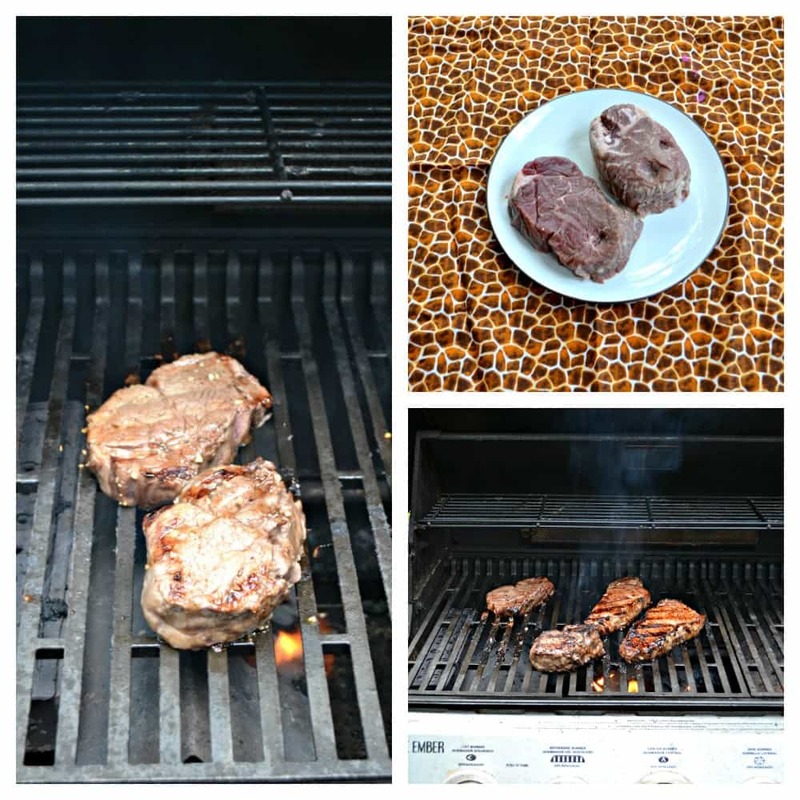 One of our favorite things to grill in the summer is steak and what better steak to grill then Certified Angus Beef brand. Certified Angus Beef ® brand was the heartland’s first premium brand of beef. Every cut of their beef is judged on 10 exacting quality standards which is why no other brand of beef is as juicy, as tender or as full of flavor. 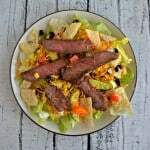 I always head to my local Giant Eagle pick up Certified Angus Beef steak but if you are wondering where to buy them check out their store locator. Another thing I love about summer is entertaining. We were having friends over for a start of summer party and my husband was making dinner on the grill. I thought it would be fun to make an appetizer on the grill as well. I pulled 2 Certified Angus Beef brand filets out of the freezer to defrost and then put them in a Bourbon Brown Sugar Marinade. One thing to watch with this marinade is that the steak should only be in the marinade for 2-3 hours, no more. I fired up the grill right before our guests were set to arrive. I started caramelizing the onions and making a simple blue cheese sauce inside and then ran outside to put the filets on the grill. I let the steaks cook while I finished the onions and blue cheese. Then I flipped the steaks and turned on the oven and popped in the crostini. I cooked the steak to medium rare then took it off the grill and let it rest. It smelled sweet and delicious. When I cut into the meat it was perfectly cooked and super juicy. At this point our friends had arrived and all I needed to do was put this tasty appetizer together. 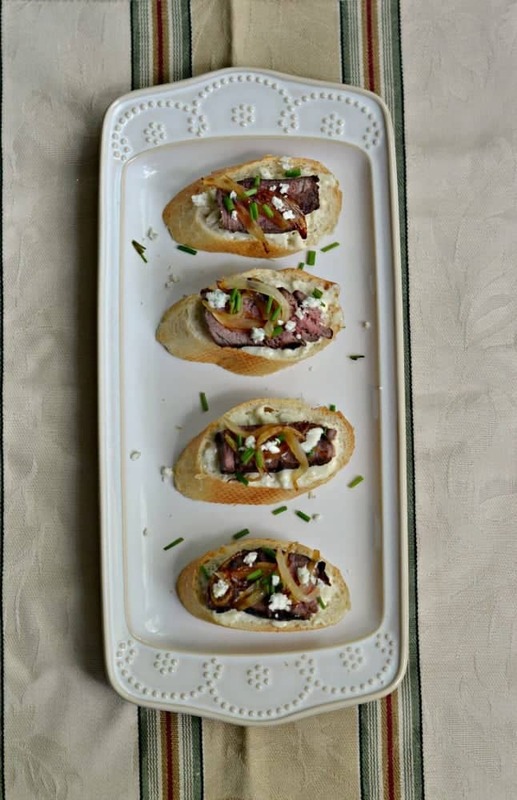 A little blue cheese sauce on each of the crostini slices, topped with a piece of juicy filet, a few caramelized onions, then a sprinkling of chives on top. My husband grabbed one as he went to put dinner on the grill and as he bit down he turned to look at me and I could tell how much he loved it. I quickly set out a plate for our guests and they were gone immediately. 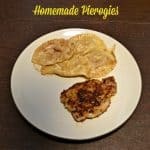 The great thing about this recipe is that it’s easy to put together so I was able to put together another place of them in minutes and serve them up. This is a great summer appetizer that will have everyone coming back for more! Want to learn more about Certified Angus Beef? You can follow them on Twitter, Facebook, Pinterest, Instagram, YouTube, or their website. 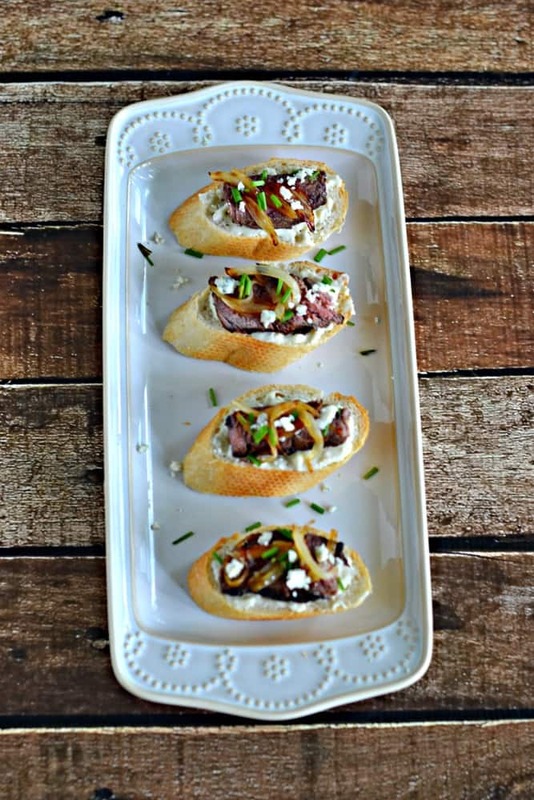 Tender filet marinated in bourbon and brown sugar then grilled to medium rare and placed on crostini with caramelized onions and blue cheese. In a large container combine the bourbon, brown sugar, garlic cloves, black pepper, and salt. Add the steaks, turn once, cover and refrigerate for 2-3 hours. Do not leave the steaks in the marinade any longer than that. When you are ready to make the crostini heat the grill to medium high heat. Preheat the oven to 375 degrees. Cut the baguette into 1 inch slices. Toast in the oven for 5 minutes. In a medium skillet melt the butter for the caramelized onions over medium heat. Add the sugar and onions and reduce heat to medium low. Cook for 20 minutes, stirring occasionally. Meanwhile, place the steak on the grill and cover. Cook for 5-7 minutes per side or until the internal temperature reaches 135 degrees. Remove from heat and allow to rest for 5 minutes before slicing. While the steaks are cooking melt the butter for the blue cheese sauce in a small saucepan over medium heat. Add the garlic cloves, milk, crumbled blue cheese, and pepper. Stir occasionally until the blue cheese is melted. Remove from heat. When ready to make the crostini thinly slice both filets. 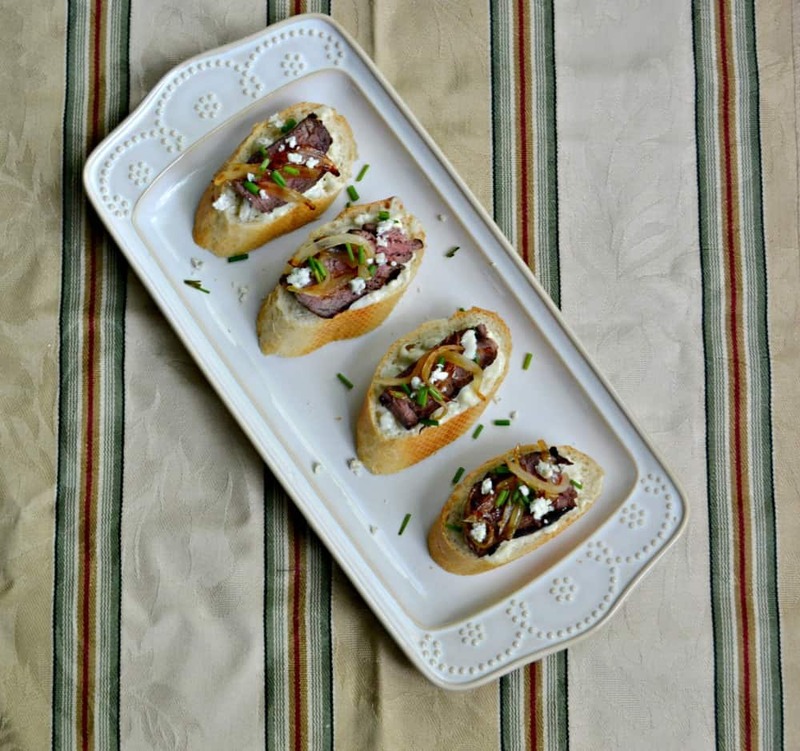 Spread 1 teaspoon of blue cheese sauce over each crostini. Place 1 slice of beef on top of the blue cheese sauce and top with several caramelized onions. Sprinkle with chives. 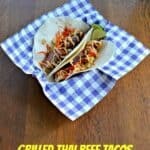 Want to see more delicious Certified Angus Beef grilling recipes? Make sure to follow this Pinterest board for ideas! Oh, my. 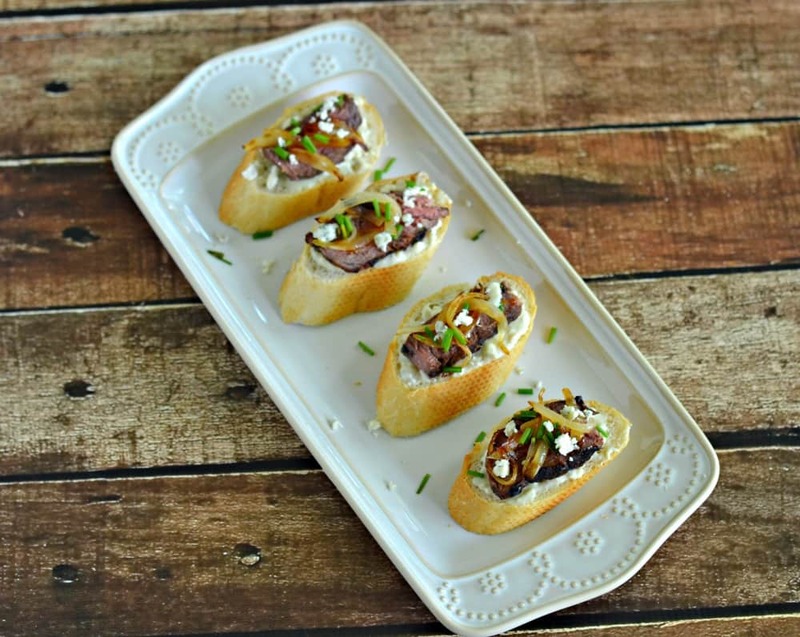 This is one magnificent appetizer—beef + blue cheese + onions! I will definitely give it a try!!! I could eat this appetizer as a meal and any day of the week. These are so pretty! Blue cheese is hubby’s favorite, so I need to whip up a batch of these for our next party…or just because!! They are pretty easy and great for summer! I am in love with these crostini! Definitely #onthemenu for our next party. Looks delicious! Pinning for later! I love nibbling at parties. 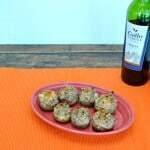 These are the perfect size steak bites! Yum! I love summer too!! Aren’t you a summer baby like me? I think that helps us love it. 🙂 These do look delicious! I just wish we had a real grill (and not just our stove top). Enjoy the time off and the beautiful weather Heather. I am! SUmmer is definitely my time. Our grill just bit the dust so we are in the market for a new one…you definitely need to get one! Thanks! We loved them and plan on making them again soon! I could make my whole meal out of that! Wonderful recipe! I loved reading how your hubby looked at you after tasting one of these! I bet they were amazing! These look like a perfect appetizer! Love the flavors!